Every industry has its yearly, go-to event, a time when the movers and shakers convene on the new-ness of talent or product. In comics: Comicon. For VFX and computer graphics: Siggraph. Gaming: E3. Consumer electronics: CES. I could go on — But have you ever heard of NAB? The National Association of Broadcasters trade show was once nothing more than a broadcast technology showcase for industry insiders. 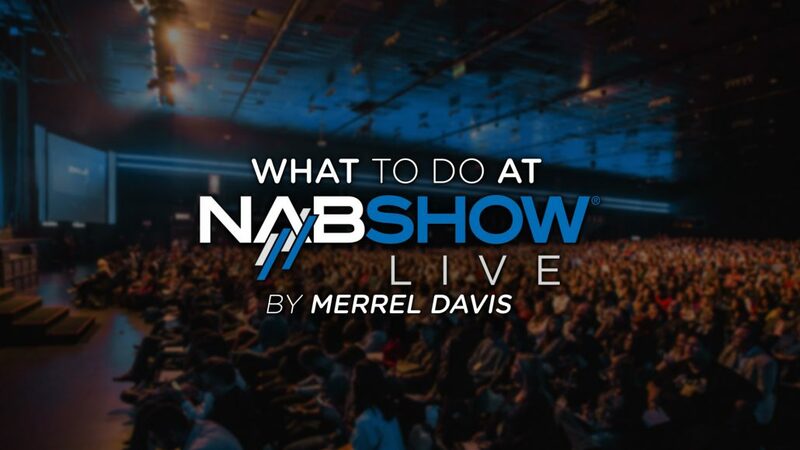 Now billed as “the ultimate event for media, entertainment and technology professionals looking for new and innovative ways to create, manage, deliver and monetize content on any platform,” NAB is all grown up. 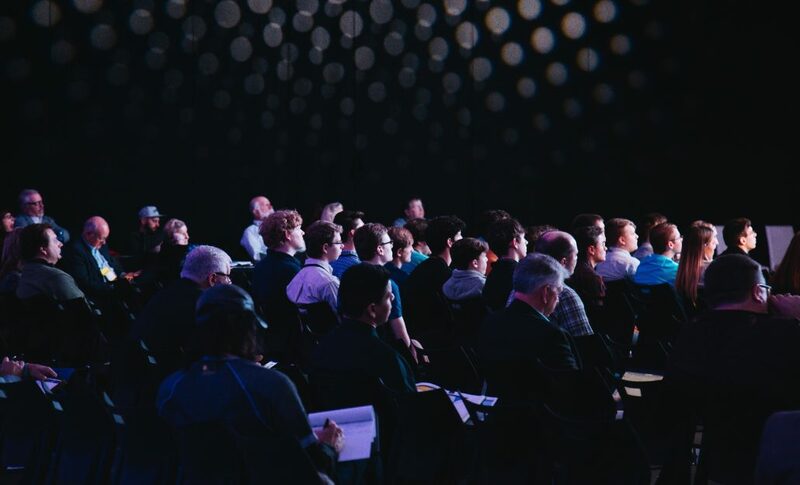 NAB has become a clearinghouse for technology ideas and an excellent venue to connect with peers on emerging video and film-related technologies. If you’ve never been, it’s actually something very special. For one lone April week in Las Vegas, Nevada, NAB becomes its own city, with an Olympic pavilion type feel throughout. Looking for someone with a unique skillset? You’ll likely find someone who knows someone. Ask around. Be sure to bring business cards. Yes, it’s old school, but it’s really reliable and a tangible reminder for your new contacts of your meeting. I recommend finding some of the more diverse organizations and their networking events. There are countless meetups both officially sanctioned and impromptu for every corner of our industry. Just google “NAB Meetup” to see. If all else false, just strike up a conversation. Everyone is wearing their badge with their name and company. It’s amazing who you might see walking around if you pay close enough attention. There’s a high likelihood product managers, engineers, and designers are at the manufacturer booth to field specific questions. Bonus points if you email and schedule time ahead. After all, that’s why all these companies are here at this trade show. They have paid for the space and want to get you talking. They want to answer your specific questions and showcase their solutions. Take advantage. You’ll never get this much consultation in a single room in LA. Some people treat NAB as a time to learn exclusively. It all depends on the role you play in an organization. When the engineers and the IT guys wander the exhibition floor, the artists and creative directors might find a quiet place in a pavilion to talk workflow. Or maybe the production folks are here to see that big Hollywood director and his DP and the camera maker talk about how they made “that shot” for this year’s Oscar contender. From content strategy to technology there really is a session for everyone. If you work in or touch any part of the funnel of video – there is a session for you. Like this one for example, which we need more of (!) “Stop, Collaborate, and Listen: Fixing Post with Communication: Filmmaking is a team sport and communication is everything, yet departments within post tend to exist in “silos” with little effort spent or time permitted to understand the needs of others downstream. NAB is an excellent time to look at the way people are building their solutions. If you work in media production it is not surprising how quickly a new approach can change the game. In the marketplace of ideas, it is always instructive to see how others are handling technology for a creative process. When a new technology hits, there are usually 3 or 4 players that are trying to sell the idea on “right way.” Go check everything out so you can make a truly informed decision before you invest time or money. Bring Clients or potential clients, schedule to meet them on the floor! You’d be surprised how much impact you can make by scheduling time for an in person meeting, in a different city, with someone you’d like to do business. Even if that person lives down the street. Without exaggeration, I have lived and worked 10 miles away from clients, but was only able to carve out the time and solution when we got together at NAB. People are busy. But when NAB comes around they literally clear the calendars for this entire week to explore business opportunity, meet and learn. Use this to your advantage; don’t just wander the exhibition floor aimlessly. Plan for long days, schedule pillars, but know when to switch gears. Sneakers, extra socks? Have a battery backup for your phone? Water? Great! Self-care is an extremely important part of getting the most out of your NAB. It might seem silly at first, but if you build an itinerary and schedule your morning you’ll be able to pace walking the entirety of two exhibition halls, and any meetings you might schedule. Don’t stand for 18 hours if you don’t have to. This is a lot of information and you don’t have to go it alone. It’s okay to delegate some of the information gathering and synthesis of next steps to a technology consultant who can introduce you and your team to more complex approaches while distilling down the noise. Ask your technology consultant to help you meet and connect with people at NAB, they likely have a rolodex of people from their time in the industry and can help you connect the dots and come up with solutions that work. Be aware, some people charge for their time and connection. Be clear about what kind of engagement you need and what they are offering. There is a culture of working dinners at NAB. Many continue their learning, exploration and work into the evening hours until work segues into nightlife. Las Vegas has a way of making all this seem glorious – but don’t over do it on night one – I’ve seen countless brilliant panel members muddle through their Monday morning panels. Yeah it’s exciting and this is fun, but not if you have a migraine. Ultimately NAB is an expansive event that has something for everyone in the industry. If you’ve never been, or it’s your tenth time, what are you waiting for? NAB starts this Saturday! Take a look the schedule.